Heat Wave #2: It will be a bad one. After the last week of beautiful weather, it is only mother-nature-like to have a nasty heat wave right after. A very hot air-mass from Mexico will be moving into the area tomorrow, raising the temperatures into the low 90s. By Wednesday, the high could get to 95-96 degrees as the air-mass parks itself over the region. 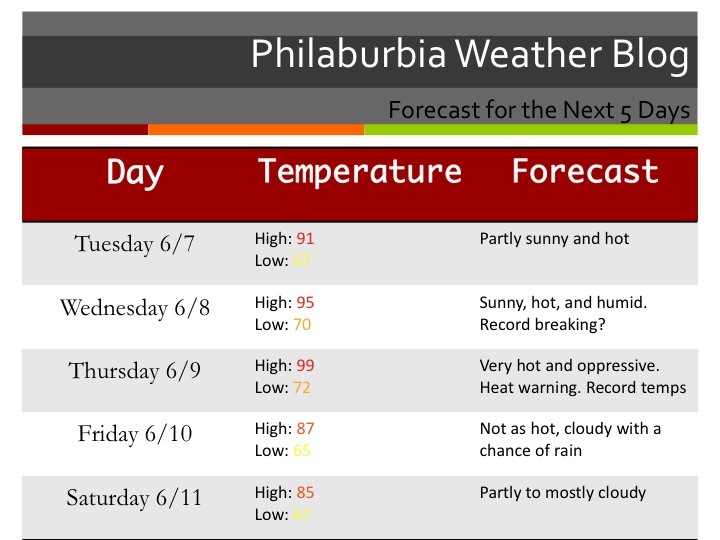 The hottest of the three days will undoubtedly be on Thursday, where the temperatures could reach 100 degrees! Truly amazing stuff for early June. There is an Excessive Heat Warning out for the area, as the air quality will be unpleasant to say the least. 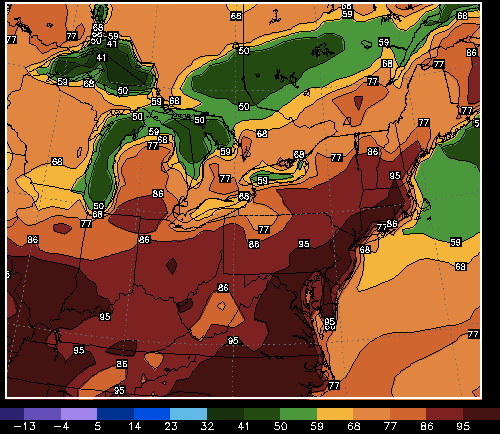 Here is the NAM’s predicted temperatures for Thursday afternoon. The scale only goes to 95 degrees, and it is showing temperatures hotter than that.